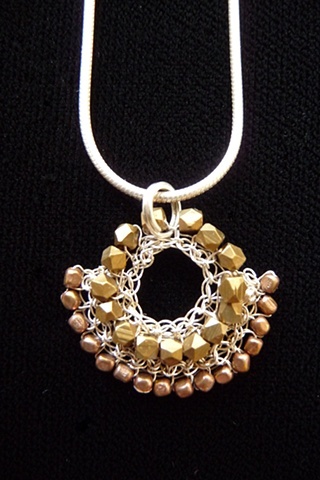 This unique layered pendant features rows of very fine, circular, single crochet. The top layer features a ring of faceted brass beads, and the bottom layer features an edge of copper trade beads. A sterling silver split ring connects this pendant to the 16" sterling silver Italian Snake chain.